Each Friday, Cents of Style offers a sale they dub “Fashion Friday!” Today’s sale is 50% off select dresses when you use coupon code TGIF50 at checkout. Even better, you’ll enjoy free shipping on your Cents of Style order, no minimums required. To give you an idea, the cute Caprice Double V-Neck Maxi pictured at the top of this blog post is $39.95. After the TGIF50 discount, the price drops to just $19.98! 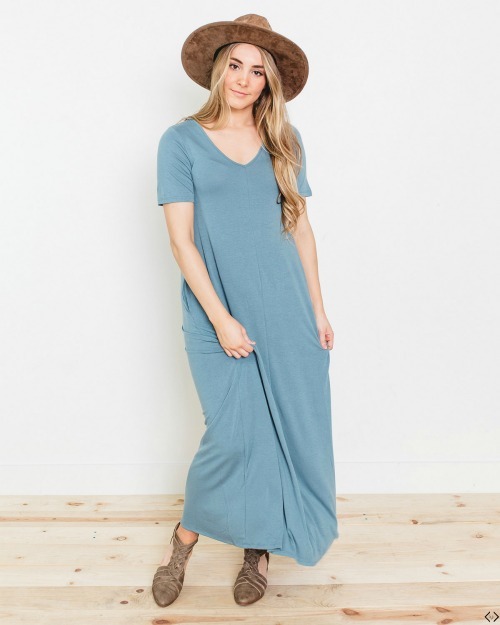 Or, how about this Skylar V-Neck Relaxed T-Shirt Dress? It’s just $19.98 after the sale, too. Head to Cents of Style to shop the sale. Remember, the special TGIF50 discount is only good today (Friday, February 22nd). Some style/size combinations are already selling out, so hurry!